Emergency Hard Drive Recovery! Fast, Local, Professional Services. 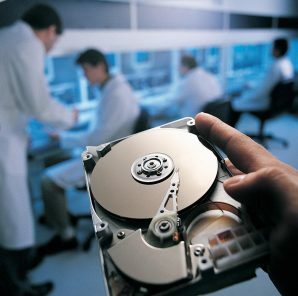 We are also experts in the recovery of all manner of external hard disk drives, including FireWire and USB device recovery. Our services can help to recover lost data following hard disk failure or the deletion or re installation of an operating system, if you are unsure as to the nature of the problem with your lost data contact our technical team on 888.714.6292 for free data loss advise. Denver Data Recovery provide a complete and competitively priced data recovery service to recover lost data from a failed or inaccessible SATA ( Serial ATA ) / IDE / SCSI / SOLID STATE hard disk drive. If you have a problem with a SATA ( Serial ATA ) / IDE / SCSI / SOLID STATE hard disk drive, it is almost certain that there will be something that we can do to help. The look on a client’s face when they come to you after losing months of work is unfortunately the most unpleasant part about this job. In this case it was a college student, on the verge of tears. This was supposed to be the happiest moment of her college career, the culmination of years of study, months of research and tens of thousands of dollars invested into this final dissertation. Unfortunately her laptop did not share her sense of accomplishment, and decided to catastrophically crash during an Operating system update. A trip to the Apple store resulted in some disappointing news, the computer would need the hard drive wiped in order to be operational again. All was not lost, however as the technicians there recommended our humble store to try our hand at helping to save her educational career. The gravity of the issue was not lost on us. As soon as the computer was dropped off to our technicians, we sprang to work diagnosing and resolving the issue. After a careful and full diagnostic, it appeared as though bad sectors were the cause of the failed update. We have specialized and tested methods to approach these types of situations and since the client sought professional help immediately, we were able to recover all of her priority files. We also recommended and replaced the faulty hardware on the MacBook so that she could get right back to her educational career. Clicking Drive – If your drive is clicking, power it down immediately! This could be a sign of a mechanical issue, such as a head crash. Bad Sectors – Bad sectors generally signify surface damage, degrading magnetic head reading capabilities, or the end of life of the hard drive. ROM/NV-RAM -EPROM or NV-RAM becomes corrupt and locks out data access. The data will need to be manually adjusted and reprogrammed to the PCB. Translator – Corruption of system area translator modules results in loss of data access and requires a “hot swap”.